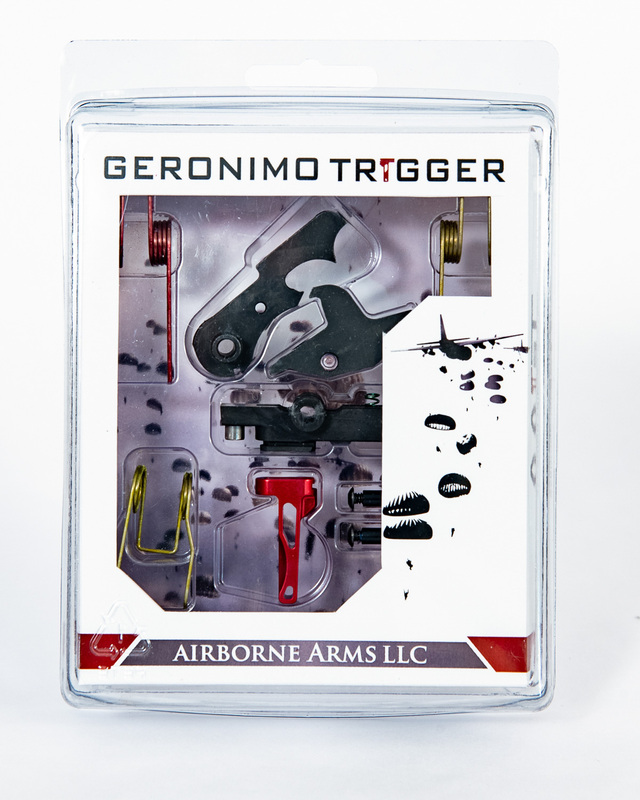 The Geronimo trigger (named in honor of the 509th Airborne infantry regiment) is a single stage trigger with a precision style lineage. 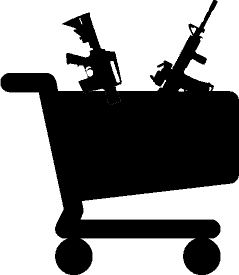 However, it is a trigger design all its own. The Geronimo trigger features M.S.A.T. technology (Modular Shooter Adaptive Trigger Technology) which allows for the adaptation of weapon (or, more specifically, trigger in this case) to shooter. 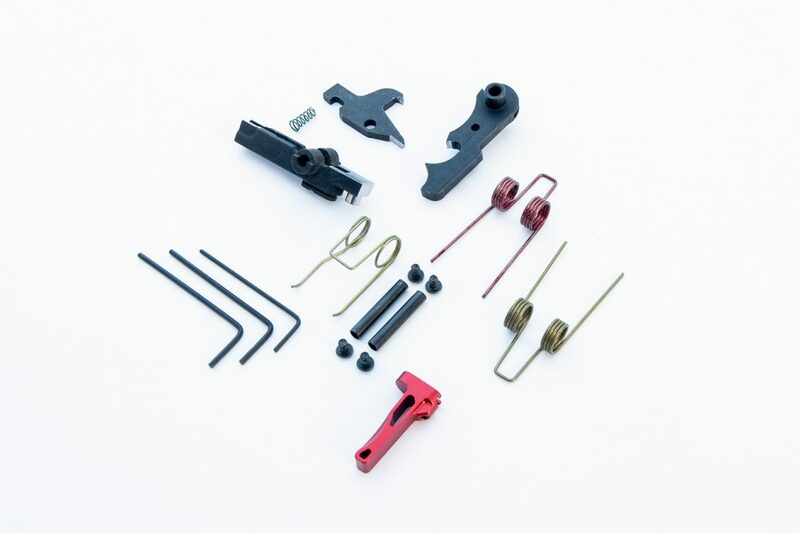 This is achieved through adjustments in everything from hammer/trigger springs (trigger pull weight) to the patent pending, 7075-T6, anodized Aluminum replacement trigger bows. This AAGT system is supplied with a straight trigger bow (anodized red) with the ability to be interchanged with other AAGT trigger shoes to fit the shooters size, shooting style, and preferences. 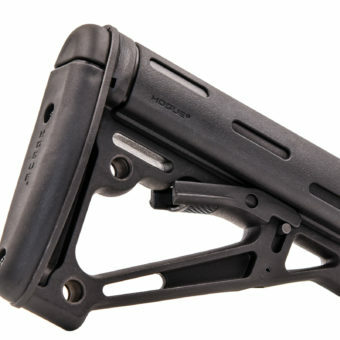 This technological advancement in the trigger design will improve user accuracy overall, and improve split times between shots and improve user accuracy in more rapid strings of fire for most shooters, all while reducing overall weight of the rifle. The Geronimo Trigger system features not only the individually hand ground and matched fire control group, but also includes multiple springs (for modifying trigger pull weight) and oversized anti walk pins. super crisp break, positive reset and 100% USA made. the biggest thing for me was the absolutely outstanding customer service. they even have a text option in the contact us section!!!! with the special circumstances with my order they were extremely helpful and informative and the end result is phenomenal. 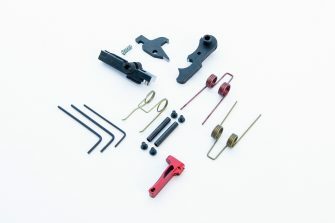 Allen screws positively hold trigger and hammer pins in, and adjustable to the shooter. 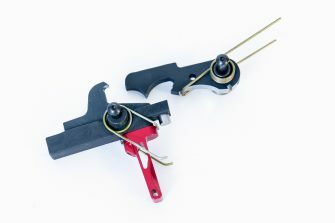 Great trigger has made all the difference in my gun. Nice crisp break and even better reset. Highly recommend the product and supporting a Veteran owned company makes it that much better. Fantastic trigger! Easy to instal, great look, great feel and shoots exceptionally well! Trigger pull is crisp and reset is quick. 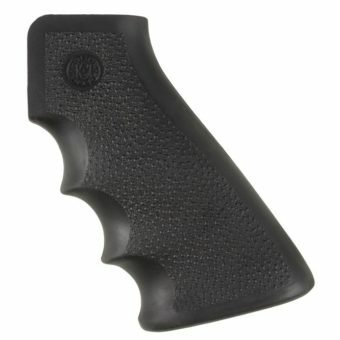 I highly recommend this trigger!